The egg yolks are also packed with lutein, a type of carotenoid that helps prevent macular degeneration, which is the leading cause of blindness. Lutein is also found in green leafy vegetables, but research has shown that the body is able to absorb it way better from eggs. In addition, yolks also contain zeaxanthin, an antioxidant that protects your eyes from the harmful ultraviolet radiation. Vitamin D is crucial for calcium absorption and maintaining bone health, so if you don’t get enough of it, you might increase your risk of osteoporosis and other bone diseases. Since Vitamin D is naturally present in very few foods, many people aren’t getting enough of it on a regular basis – and here egg yolks come to the rescue yet again. If you don’t have enough time to sunbathe or sunny days are rather scarce where you live, eggs can be a convenient way to supply your organism with a decent amount of vitamin D.
In case you’re suffering from an iron deficiency, which is characterized by frequent headaches, fatigue and irritability, eggs can help you a great deal. Two large eggs contain 2 milligrams of iron, and with frequent consumption, you can significantly improve your intake of iron. Eating eggs can help you increase feelings of satiety and control hunger easily. Having eggs for breakfast will keep you full longer than most types of food, which in turn will limit your calorie intake throughout the rest of the day, resulting in greater weight loss. The protein in eggs provides a steady and sustained source of energy for your body which doesn’t cause a surge in blood sugar or insulin levels. As we’ve stated before, egg yolks are rich with choline, which among other things is an important nutrient for the proper functioning of the brain, especially crucial for healthy brain development in fetuses and newborns. Studies have shown that eating more eggs during pregnancy and lactation can stimulate the brain development and function of babies. In addition, a study from the University of North Caroline found that choline can reduce the risk of breast cancer by 24 percent. Eggs have long been considered as the perfect food and as you can see, there are plenty of good reasons for that. Making eggs a staple food in your diet is not only safe – it’s actually more than beneficial for your overall health. Everyone can benefit from increasing the consumption of this super food, including bodybuilders, pregnant women, kids and older adults. And don’t just reach for the whites – the yolk is equally important. 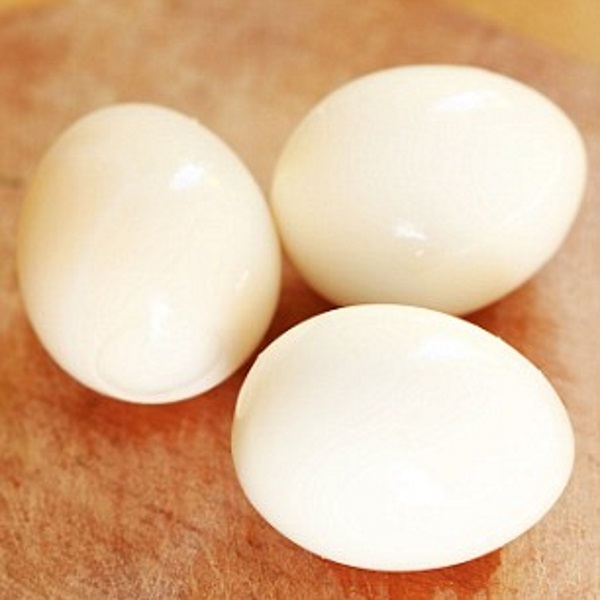 Three eggs a day can keep the doctor away!